Have you lost your keys? 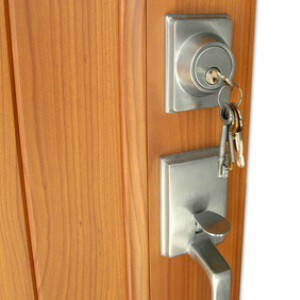 Or perhaps you just want to enhance the security of your home or office. Well, no matter whatever is the case, lock rekeying is a noble idea to ensure the safety of residential or commercial property. When it comes to fast and secure lock rekeying, look no further than San Antonio Car Key Pros. As a recognized locksmith company with more than 5 years of experience, we offer optimum rekey services for residential, automotive, and commercial properties in San Antonio at any time of the day or night. With expert technician and latest high tech equipment, we can provide the very latest in security and quick rekeying service. You can rely on us as we are insured, bonded and licensed. When you need to rekey the locks of your home or business, you can count on San Antonio Car Key Pros for fast and efficient service. Our licensed, bonded and insured professionals are well-trained and have years of experience in rekeying all types of locks including deadbolts, profile cylinders, mortise locks and much more quickly and efficiently. Our mobile technician will reach you within 30 minutes no matter what time it is and replace the pins inside the lock and match a new set of pins to the new key in no time. Whether you need help with the lock rekeying for your home, business or vehicle, we can help. When you lose your keys, your home becomes vulnerable to break in if the key fell into the wrong hands. Also, while moving into a new home, you never know if the former tenant or anyone already has the key to your home. So, in such scenarios, rekeying the door is a wise decision. Whether it is the increasing burglary rate in your area or security concern makes you take the decision, we can help you rekey the lock of your home regardless of type and complexity. We at, San Antonio Car Key Pros provide 24/7 lock rekey service to enhance the security of the residential properties. Scenarios like losing a key, burglary or vandalism or moving into a new building emerges the need for lock-rekeying for any business. While moving into a new office, it is better to rekey your locks as the former employees with the key can get access to your commercial property. So rekeying the lock is a best practice that every business owner must consider. If you want a quick and affordable commercial lock service for your office, San Antonio Car Key Pros can help you out. San Antonio Car Key Pros is dedicated to addressing the customer promptly no matter what hour or day we are called on. Our highly trained, licensed, bonded, and insured technicians have the expertise to offer quick and friendly residential, automotive, and commercial locksmith services. To take the benefit of our quick and efficient service, call us now! Expert Lock Rekey Services In San Antonio https://carkeyssanantoniotx.com/lock-service/lock-rekey/ 3.8/5 based upon 29 reviews.